You need to know these key points about smart door lock. With the development of science and technology, the smart home market is becoming more mature, people’s consumption concepts have also changed, and more and more attention has been paid to the improvement of the quality of life. The safety of family life is particularly fancy, and traditional door locks have been unable to meet the needs of the masses. The smart door lock linkage related home scene constitutes the first line of defense for family safety. Is the smart door lock YET808 installed to help eliminate family safety? After installing the smart door lock, you no longer need to bring the key when you go out. If you go out without a key or if your key is stolen, you don’t have to wait at your doorstep to wait for friends and family to open the door. 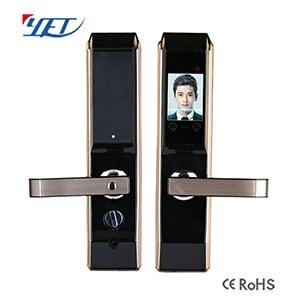 Yaoertai intelligent door lock YET808, with infrared three-dimensional recognition technology, 2.8-inch capacitive screen enhanced tempered glass protection, C-class anti-theft lock core, using wire drawing process and other multi-theft system, greatly meet the family’s security needs. What advantages does the smart door lock YET808 have over ordinary mechanical locks? The biggest function of traditional mechanical locks is to prevent burglary and prevent family property security. At present, most of the lock cores on the market are Class A, Class B, and Super B, with different levels and different anti-theft time. Many users don’t understand that they still use lower-level mechanical locks, which poses a great security risk. The lock core level adopted by the Yaoertai intelligent door lock YET808 is the C-class anti-theft lock core with the highest safety level at present. The technology needs to be opened for more than 270 minutes to protect the safety at home. What are the types of smart door lock YET808 unlocking? There are a variety of unlocking methods for the Yaoertai door lock YET808. It supports face unlocking, palm vein unlocking, 8-digit password unlocking, card unlocking, key unlocking and other unlocking methods. Among them, the face recognition restriction is small, and the elderly and children can easily recognize without worrying about the facial skin condition. Face and palm vein recognition, easy to deal with various physiological conditions. Smart door lock YET808 can be used by elderly and children? What special materials are used? The Yaoertai intelligent door lock YET808 adopts intelligent palm vein recognition and non-contact palmprint recognition technology. The child will not be troubled by the lack of height and lift the hand to unlock. Old people will not be guilty of fingerprint degradation. Say goodbye to the various cumbersome requirements of fingerprint unlocking, accurate reading and responsive. Easy for daily use by children and the elderly. 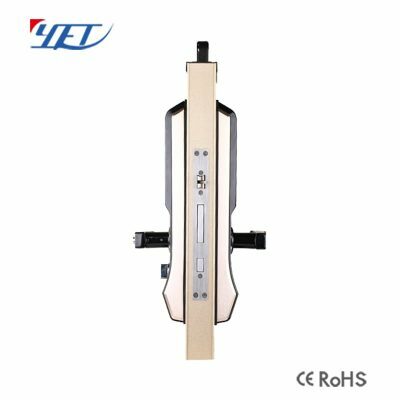 How to solve the power problem of Yaoertai intelligent door lock YET808? The Yaoertai smart door lock YET808 is powered by battery. The national standard No. 5 battery is longer and more convenient to replace. If you have to change the battery in the future due to special circumstances, you can use the spare key to unlock. There will be no inability to enter the door. Door lock is the first line of defense for home safety. It is the primary guarantee for home security. To enhance the anti-theft function of home security door lock, Yaoertai smart door lock YET808 is worth having!